Last month India became the second country to pass the one billion mark in mobile subscriptions, trailing only China. The country of 1.3 billion is due to become the planet’s most populous country in seven years, and was the global leader in m-commerce growth per capita, in 2015. Either there’s something in the water, or a major shift is happening. My bet’s on the major shift. 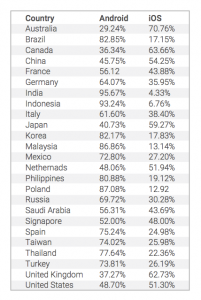 India leads the world in m-commerce installs as a percentage of all app downloads. With a population more than four times bigger than the U.S., India’s size is off the charts, and so is the speed at which its mobile ecosystem is growing. It took the U.S. over a hundred years to get from Alexander Graham Bell to Steve Jobs; from sparks conducted via wires on telephone poles to radio signals in the air. India is doing that in a decade … taking feature phones and $30-50 Android smartphones to the vast majority of its citizens who have never been connected to a wired communications grid. Clearly, the smartphone is not just a phone. It’s also the laptop for the developing world, and it’s a complete game-changer — especially in rural areas, where most Indians live. The vast majority of India’s population lives in isolated, hard-to-reach countryside. That’s one of the biggest changes that rapid adoption of smartphones has brought to India. Currently, about 30% of mobile subscribers in India have smartphones, and buying stuff is near the top of their list of things to do on mobile — as we saw in our recent 2016 preview report. Most of the global smartphone growth will be in India and China. Check our full report for more (click the image). 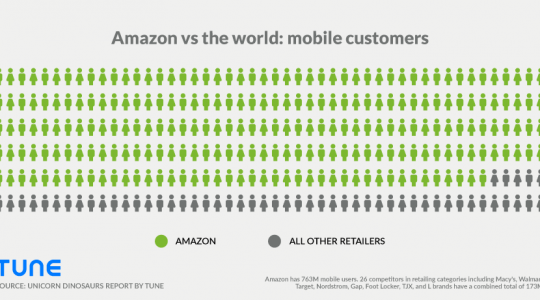 That will create almost $40 billion in m-commerce revenues in 2016, doubling 2015’s numbers. This may not sound terribly impressive next to $142 billion in m-commerce in the U.S. this year, but it’s composed of many, many more transactions. Simply due to the combination of its size and state of development, commerce in India is a typically a low margin, high volume scenario. 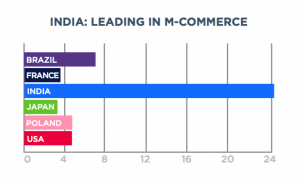 The result, aided by the proliferation of mobile and the challenges of distance, is that m-commerce comes even more naturally to India than e-commerce to the U.S. M-commerce is becoming deeply encultured in the society, to the point that top digital retailers such as Flipkart, Amazon, and Snapdeal see 60-80% of their revenue via mobile, and many such as Myntra have deprecated their websites. Which is precisely what might just make India a foretaste of the future. And it’s also what makes India potentially the smartest mobile ecosystem on the planet, according to Brill. India also leads in downloading entertainment apps per capital. Click the image for a full report. For one thing, it’s speed. The Indian mobile ecosystem is simply evolving at a greater rate than anywhere else on the planet. 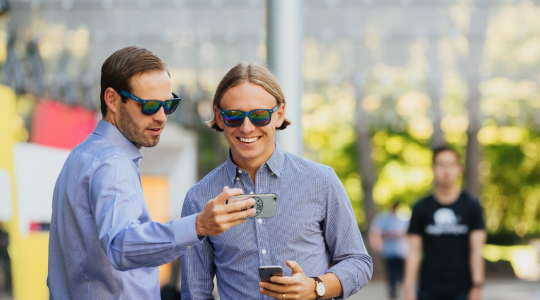 The ecosystem is evolving so rapidly because hundreds of millions of people have just entered the modern digital economy, via their first smartphone. 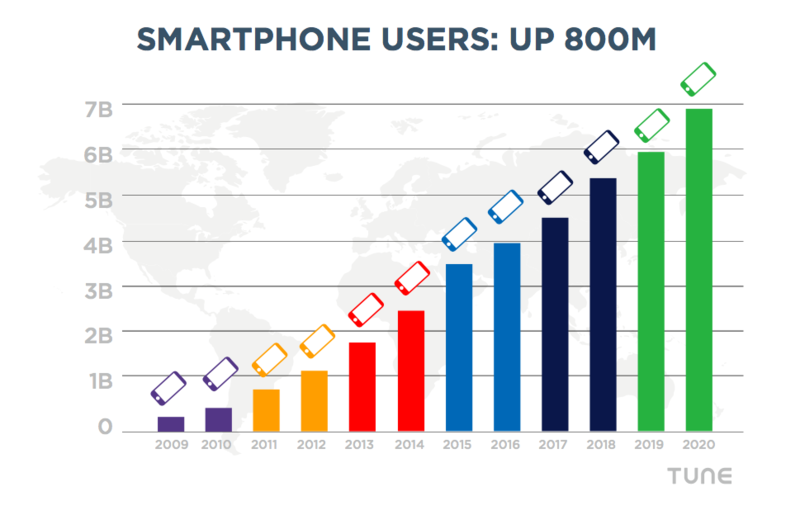 Hundreds of millions will be joining over the next few years, upgrading from feature phones to smartphones. And we’re talking about everything at massive scale. With a population of 1.3 billion that is coming online in the hundreds of millions, scaling is not a problem in India. In fact, some say, scaling is easy in India and getting users is not the problem. The problem, rather, is building a platform and building significant revenue based on making just a little profit on a lot of transactions. 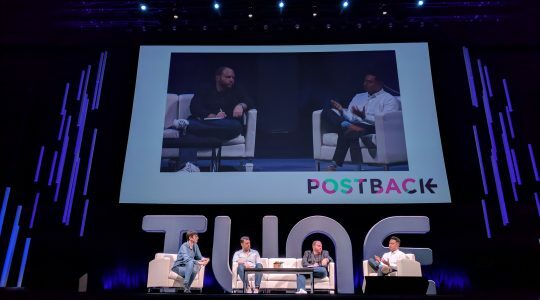 Put speed and scale together — and add one more Indian quality: sharing data, and sharing learnings — and you have a rapidly evolving ecosystem that is quickly becoming a model for the mature, wealthy, Western nations. 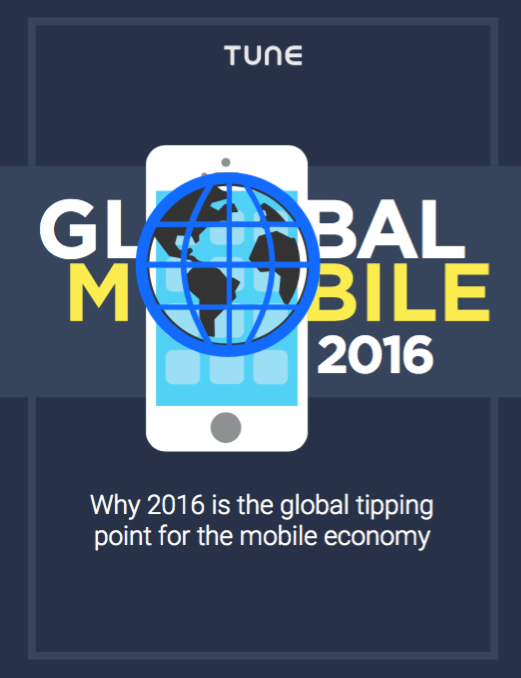 For a complete global picture — and more details on India — click the image for our full Global Mobile 2016 report.